The Matterhorn is the world’s most photographed peak! It’s not a fact, I just made that up. But I can’t think of a mountain with such visitor numbers where people spend days skiing, hiking or just using the lift system around it. Surely nobody leaves Zermatt without a whole bunch of Matterhorn photographs? Wherever you are in the Zermatt area, the Matterhorn is usually the most prominent peak and continually cries out for you to grab your phone or camera and grab endless snaps. So where do you go to take the best photographs of it? Here’s some suggestions and a Summit rating for each of them. It’s not a fact, I just made that up. But I can’t think of a mountain with such visitor numbers where people spend days skiing, hiking or just using the lift system around it. Surely nobody leaves Zermatt without a whole bunch of photographs of the Matterhorn? For a great shot of the Matterhorn towering over the village, it’s worth wandering just a few minutes up the road / piste to the north east of town. Take a shot from anywhere in the Sunnegga area. Here the mountain looks most like a pyramid. 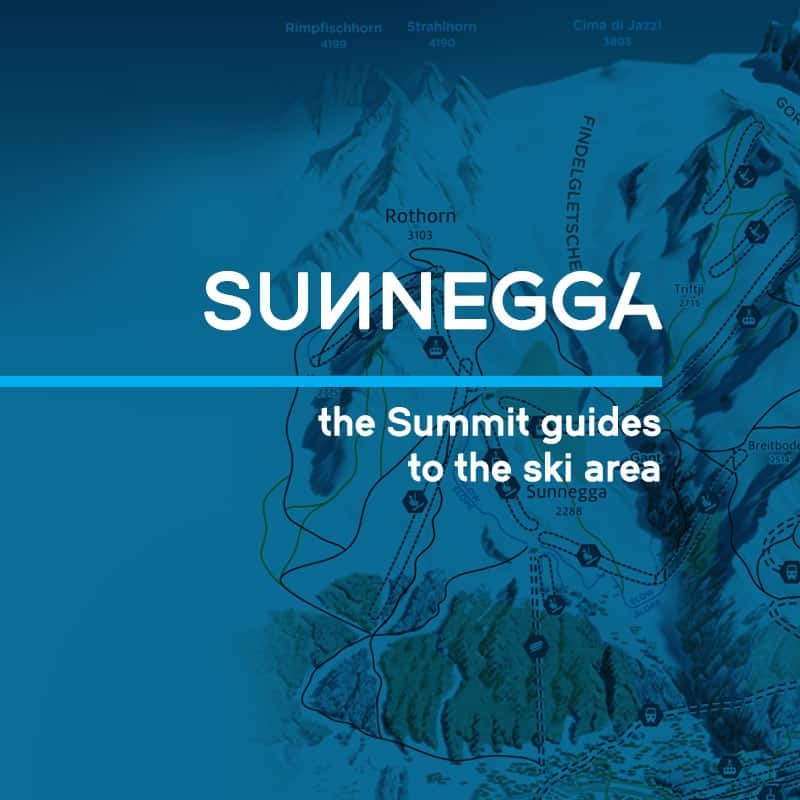 The majority of postcard shots are taken from Sunnegga and above. The higher you go (to Blauherd and Rothorn), the better the view but you’re then getting further from the peak so might need a zoom on your camera. Take a shot from Schwarzsee or the top of the Hirli chairlift for that ‘up close and personal’ feel. The Matterhorn looks very intimidating from here! The view from Stafelalp is completely different and is a nice departure from the classic shape of the mountain. When you look at the Matterhorn form the little sister Klein Matterhorn, you just see the east face so the classic pyramid shape is replaced by a triangle. As the sun rises over the Monte Rosa, the first rays hit the tip of the Matterhorn and then light gradually moves down the east face. This is a great time grab a shot and is worth getting up early for. In winter, the sun sets behind and to the right of the Matterhorn which makes it hard to get a good photo (6/10). Around June, though, the sun sets further to the west and throws golden light onto the north face for an excellent shot. In summer, head to the Stellisee, Grindjisee or Riffelsee lakes and hope for low wind to get that iconic shot of the Matterhorn reflected in the water. Good luck getting some classic Matterhorn photos and, while you’re in Zermatt, spare a thought (and a little memory card space) for some of the other mountains around! If you take your tripod with you then you can play around at getting some cool time-lapse videos too!